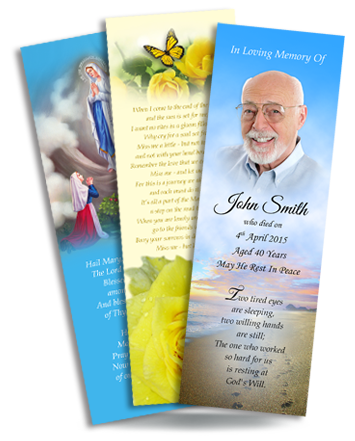 All Memorial Cards are expertly designed and finished to the highest standards. 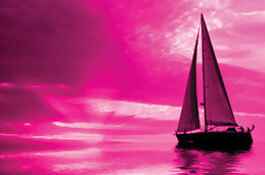 We use the latest in digital printing solutions ensuring that all images and photos are perfectly re-produced. 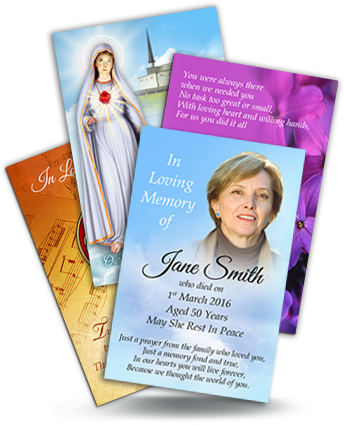 The Memorial Cards are then covered with a gloss lamination, giving them both a quality feel and a long lasting protection. 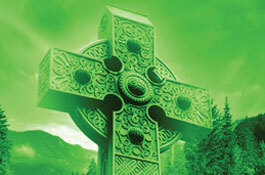 We offer a quality range of products. 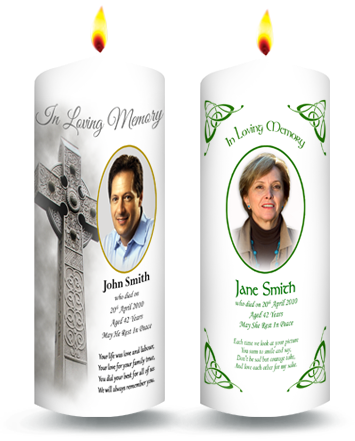 Our product range includes candles & keyrings. 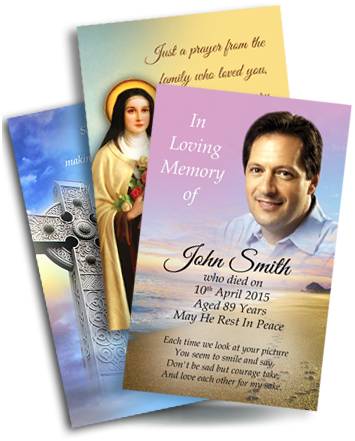 Create your custom product to remember your loved one. If you would like to receive our free sample pack please enter your details below and we will aim to have your pack with you very soon. 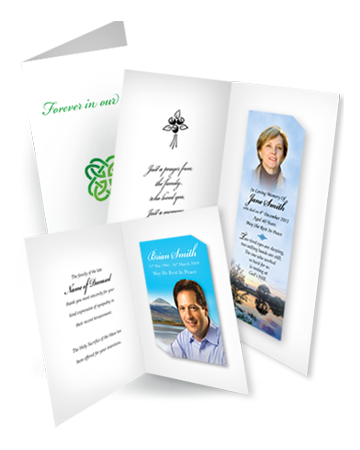 Each pack contains our full colour product catalogue and various sample cards which demonstrate the superior quality of our products. Also included are a price list and an order form. 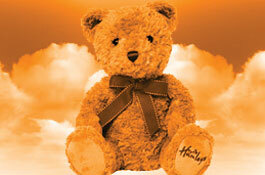 This site will from time to time include elements such as surveys and request forms. These elements will require your name and email address, as well as additional information volunteered by yourself, such as replies to forms. 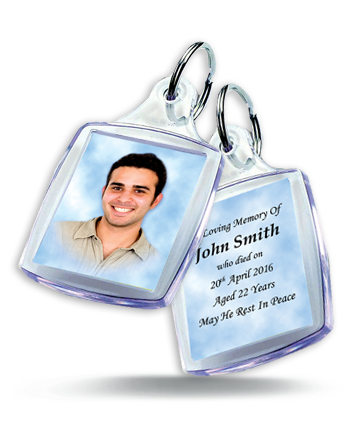 MCA Design & Print Ltd T/A Eternity Cards will not pass your personal details to other people or organisations. Like many websites, we also automatically receive general information that is contained in our server log files such as your IP address. We use this information to compile statistics to assist us in our system management. Personal data is only used for the legitimate interests of MCA Design & Print Ltd T/A Eternity Cards, and does not unduly prejudice the rights and freedoms of the individual in question. Personal data will be processed fairly and lawfully in accordance with the Data Protection Act. We will not process “sensitive” personal data without prior consent from the user. Information processed is accurate, relevant, current, up to date and not excessive. Cookies are small text files used by your web browser and stored on your computer used by our website to enhance your visitor experience. Overall, cookies help us provide you with a better website, by enabling us to monitor which pages you find useful and which you do not. A cookie in no way gives us access to your computer or any information about you, other than the data you choose to share with us. We reserve the right to make changes to this Policy when and where necessary. Please be forewarned that it is possible to catch computer viruses by accessing a web page or by downloading or running an infected program. Whilst MCA Design & Print Ltd T/A Eternity Cards has taken steps to ensure that the pages on this website are free from infection, such is the nature of the Internet that no assurance can be given that the pages of this website are indeed free from infection. 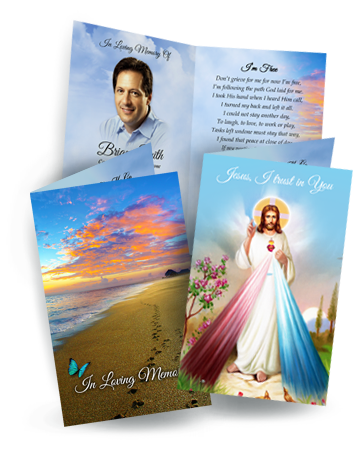 It is a condition of us allowing you free access that MCA Design & Print Ltd T/A Eternity Cards will not be liable for any loss or damage suffered by any person accessing this website or any third party resulting directly from the transmission of a computer virus resulting from the accessing of this website. 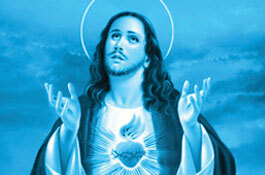 Please note that the information available on this website may be incomplete, out of date or incorrect. It is therefore essential that you verify all such information with us before taking any action in reliance upon it. It is a condition of us allowing you free access to the material on this website that you accept that we will not be liable for any action you take in reliance on the information on this website. 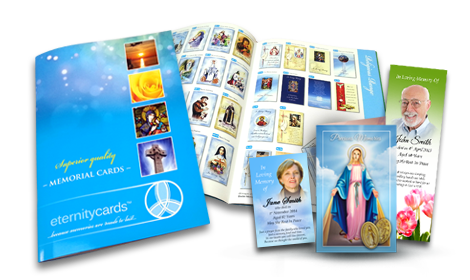 The contents of the pages on this website are copyright MCA Design & Print Ltd T/A Eternity Cards. 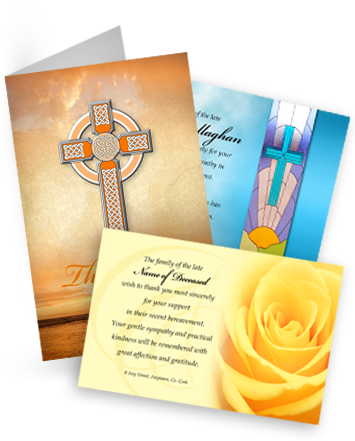 All card and product designs featured on the website are also strictly copyright MCA Design & Print Ltd T/A Eternity Cards. The copying or incorporation into any other work or part or all of the material available on this website in any form is prohibited save that you may: download extracts of the material on the site for your personal use; or: copy the material on the site for the purpose of sending to individual third parties for their personal information provided that you acknowledge us as the source of the material and that you inform the third party that these conditions apply to them and that they must comply with them. Please contact us with any queries you may have. © 2019. All right reserved. This website has used stock imagery, not real life examples.